What does this mean when it comes to User-centric EA and target architecture and transition plans? Plans are agile—you can plan, but you can’t control the situation on the ground. Therefore, EA plans are by definition undependable. A plan developed for one situation may be completely useless or actually counterproductive in another set of circumstances. Further, there are essentially infinite factors in every scenario and you can’t plan for every combination and permutation. Therefore, you can never really plan effectively, since in some aspects, the plan will always be off. Planning is a learning process—while a specific EA plan itself may ultimately be useless, the planning process itself is extremely valuable. Bringing subject matter experts and stakeholders together to brainstorm, evaluate various scenarios, analyze alternatives, and “hash it out” helps everyone involved to understand the objectives, the battleground, the force structure (assets), and unify everyone around a common way ahead. This is the true value of planning. In the end, EA plans must be agile and adaptable to the specific situation on the ground, as it evolves. If the planning process has been taken seriously (and not just another annual offsite event), then everyone involved grows professionally, learns about the status of the organization today, and unites around a common way ahead. For this to happen, the planning process needs to be well-structured, yet open to innovative ideas, best-practices, and benchmarking, and should involve a diverse group of subject matter experts. If the planning process is sound, then even if the plan needs to change based on circumstances on the ground, the people involved are able and prepared to adapt. Design, style, and innovation are important communication mechanisms and are crucial to User-centric EA. These communication mechanisms are used in information visualization and is heavily used in EA to develop useful and usable information products that can be easily understood and applied. Increasingly, design is taking center-stage across technical and everyday products in our economy. The Wall Street Journal, 4 January 2008, reports in no less than three separate articles on the importance of design and style for everyday products from computers to hard drives and even storage containers. Dell has gone from 6 designers in 2001 to 90 designers now and they are still recruiting. At the upcoming Consumer Electronics Show, Microsoft will hold a PC ‘fashion show’ with judges picking the top three designs. While certainly consumer products are different than information products provided by EA, there is clear understanding now that design, fashion, style, and innovation are critical in reaching out to people, getting them interested in your products (consumer or information), and that design demands a premium in the marketplace. As the Intel anthropologist stated “why does this have to be so ugly?” Similarly, I would ask why do traditional EA products have to so often be so ugly, difficult to understand and apply. Let’s transition the way we do architecture to User-centric EA and design innovative information products that capture our users’ attention, really “talk to them,” clearly identify problem areas, propose alternative solutions, and lead to better decision making. Our executives are busy people with challenging jobs. We owe it to them to provide information in User-centric EA ways. Blogs are becoming a great new tool for enterprise communications and an alternate to clogging up already full email boxes. What’s the interest level and use of blogs? A software social consultant says that “traditional enterprise solutions were designed to keep IT happy. They’ve not usually designed with any thought to the user, like a blog is.” What a nice user-centric EA concept, design technical solutions that meet user requirements; let business drive technology, rather than doing technology for technology’s sake. Why do people resist blogs? “People are hung up on this concept of the blog as a diary and as an external marketing medium,” rather than understanding its criticality as a tool for communications and knowledge management. How can you advance the use of blogs in your organization? Calming the troops─if people are nervous about blogs, consider avoiding the term blog and call it an ideaboard or some other non-technical and non-threatening name. Security and compliance—build the blog behind the corporate firewall and “establish rules of engagement,” so that proper social and legal etiquette is not violated and passive-aggressive behavior or “web rage” is mitigated. From an EA perspective, blogs are not a substitute for email; we need email (some of us desperately, like a morning cup of joe), but blogs are a great complementary tool for participatory communications that involve discussion type interaction by more than two users or for capturing enterprise knowledge and making it available for discovery. Also, blogs are a tool that gives a voice to people, who may otherwise remain part of the silent masses; people feel freer to express themselves in blogs, and through freedom of expression comes advancement of ideas, greater buy-in, and better enterprise decision-making. Anyone who has lost information on their computer knows how important backing up your computer work is, and organizations spend large sums of money to back up corporate information assets. It used to be everyone backed up their own data, but now things are changing with major storage vendors entering the online backup market. So are hosted backup services worth the cost? From a User-centric Enterprise Architecture perspective, we must ensure the security of business and technical assets. This includes the confidentiality, availability, integrity, and privacy of corporate information. One way to protect vital information assets is through robust information backup and recovery services. Human capital is one of the perspectives of enterprise architecture that I have been advocating for the Federal Enterprise Architecture to adopt. ComputerWorld, 19 May 2008, has a good article on “How to Manage Brilliant People,” which can be applied to all everyone—brilliant or not. Manage results, not process—Identify the results you’re looking for, but don’t prescribe to others how they need do it. This is micromanagement plain and simple. I don’t like to be micro-managed and I don’t think others do either. Treat people like adults and give them the freedom to do their jobs (assuming they haven’t abused that freedom and trust in the past). Vet ideas, then make a decision—Communicate with your staff openly and creatively. Everyone on the team has good ideas and can contribute to analyzing problems and working out viable solutions. Not everyone will agree on the solution, so after a reasonable discussion and analysis, it time for the manager to make a decision. Analysis paralysis is detrimental to you, your team, and your program. Better to make a timely decision and then course correct as new facts become available, then to wait and wait and wait. Time is a critical success factor for most important decisions. The marketplace waits for no one. Be a good mentor, and learn from everyone—We all have something to teach others and to learn from others, because we all have strengths and weaknesses. It doesn’t matter if you’re the boss or the subordinate. For the boss, it takes a degree of humility and open mindedness to “be bested” and more than that to actually learn from it. Raise the bar, and stretch your staff—Just like when setting organizational goals, you want them to be achievable, yet ambitious, so too with setting personal and team goals, they should be challenging, but doable. That way you keep productivity high and morale high and people know they are growing (not stagnant). At a manager in the IT world, I have learned that technically, pretty much we can do anything (given the time and resources); however, the trick to good management is not the technical stuff, but rather the people stuff. People can be more complicated than landing a man on the moon that’s why we need solid leaders, plenty of management training, compassion and empathy for people, and the institutionalization of human capital as part of our everyday EA planning. Developing performance plan templates so that everyone understands their roles, goals, and the rewards available to them for high performance. Of course, there is much more that can be done, and this is only a beginning. This is something that I am very interested in and about which I would welcome any comments and feedback. Enterprise architecture, as John Zachman said, is about managing change and complexity. Naomi Karten has an interesting op-ed in ComputerWorld, 19 May 2008, on change management. So how do we help people see their way through change? Aren’t adults really just big children, with fear and anxiety over the unknown? (Remember the “bogeyman” under the bed?) How many of you with children hear them express some nervousness right before the first day of a new school year or going to a new school or summer camp. It’s human nature. We are creatures of habit; change the structure we are used to and we’re like fish out of water, working just to catch our breath. The truth is, all human beings are mortal and can be hurt by change. Cut them and they bleed. Pull the rug out from under them and they can fall on their face, especially if they don’t know first that the rug will be moving! That’s what change is—it’s moving the pieces around and expecting a person to know where things are. As enterprise architects, leaders, change agents, it is crucial that we treat people with respect, dignity, equality and compassion. Yes, “business is business,” but we can elevate ourselves above the everyday tough business decisions, and recognize that our authority, initiatives, and change efforts have a human impact that we need be sensitive to. Part of enterprise architecture therefore needs to be building communication and sound human capital management into our IT planning and governance processes. For example, our transition plan to move from the baseline to the target state needs to not only address business process improvement and technology modernization, but also human capital management. People need to worked with. They need to understand the changes taking place and how they fit in. They need to have time to adjust. They need support and encouragement. They need to be treated with humanity. Let’s not lose this in our effort to reach for the future state of the organization. Business analysis is critical to enterprise architecture, because it derives the business functions, processes, activities, and tasks. Coupled with some basic data and systems analysis, BA determines the information requirements of the business and the systems (manual or automated) that serve those up. Through business analysis, we identify gaps, redundancies, roadblocks, and opportunities which are used by enterprise architecture to drive business process improvement, reengineering, and the introduction of new technologies. Where does the business analyst reside in the organization—in the business or in IT? The answer is yes to both. The business analyst resides in the business and works on segment architecture for their lines of business and on defining functional requirements. Some business analysts also reside in IT as a relationship manager to translate business-speak to the techies and vice versa. Also, the LOBs may not have business analysts on staff and may request this service be performed by the IT shop. For example, this may be done from the enterprise architecture function to support segment architecture development or alignment to the enterprise architecture. Or it may be done by the IT centers of excellence that develop the systems solutions. If they can’t get the functional requirements from the LOBs, they may send in their own BAs to work with the programs to help capture this information. So aside from business analysis what do you need to come up with a technical solution? According to the ComputerWorld article, a single person who does the analysis, the creativity, and the synthesis is called a systems designer, but I disagree with this. The analysis and development of the requirements is “owned” by the business (even if IT is called upon to help with this function). While the creativity and synthesis, which is the technical solution, is “owned” by IT. Further, it is typically not a “single person” that develops the requirements and comes up with the solution. The solutions provider (IT) is generally distinct from the business that has the needs, even if sometimes it is difficult for them to articulate these into functional requirements. Process mapping—“create diagrams that capture task sequences for existing and new workflows.” (I believe we in EA all know this as Business Modeling). I would suggest that 1 and 2 (the facilitation and business modeling) are the functions are the business analyst, but that 3 and 4 (data and systems modeling) are the responsibility of the IT function. Again, it is the business that “brings” the requirements and the IT department that comes up with the technical solution to meet those requirements. Another thought: Perhaps the organization is struggling with defining the business analyst and those that develop the technical solution because it is really the synthesis of the two that is needed. It is similar to enterprise architecture itself, which is the synthesis of business and technology to enable better decision making. I can envision the further development of segment and solutions architecture to become just such a function that merges the requirements (business) and solutions (IT). Isn’t it every kids’ dream to own a car? And who can’t wait to take their first driving lessons? Kids’ priorities are changing and with that car manufacturers are having to re-architect the way they design and sell cars. How is the auto industry responding with new architectures? A lesson for enterprise architects is that function certainly drives architecture. However, functional requirements change along with culture, and the architect needs to be ever vigilant is searching out and spotting new trends, so that the enterprise can be proactive in meeting user expectations. Further technical requirements change based on innovations, and these must be aligned with functional requirements to optimize EA solutions. The best way to find out what the end-user wants is to ask them. Since 2006, Ask.com spent $140 million to Google’s $34 million on advertising between Jan. 2006 and September 2007, yet Google’s market share of the internet search business stands at 58.4% to Ask’s 4.3%, and “Ask’s market share hasn’t grown in the past couple of years, while Google’s…has seen its dominance increase. Google is beating Ask based on “superior technology and word of mouth,” so the advertising is a moot point. From a User-centric EA perspective, it is critical to ask the user what they want and understand their needs. One of the principles of User-centric EA is that we are focused on developing useful and usable products and services for the end-user; we do not build any information products that do not have a clear end-user and use. In contrast, traditional EA is often user blind and as a result develops “artifacts” that are difficult to understand and apply. Like Ask.com is learning, if you don’t understand your user’s needs, you end up with a lot of shelfware—whether it’s EA or search engines. When we log on at work, most if not of us get some sort of message that logging on connotes acknowledgment to monitoring and that there is no implied privacy to what you’re doing when logged onto corporate IT assets. Monitoring is a way of life at work. It is part of information security, management oversight, and ensuring systems are running effectively (and preventing a severe network outage). Cross platform monitoring and event management and resolution are important to maintaining the availability of today’s complex networks that are vital for corporate communications (voice, data, and video). ALERTS: Monitoring not only alerts IT personnel to when networks falter, but can also be set to provide alerts when certain fault tolerances are reached, so that IT personnel can take action before the network is brought down. CAPACITY: Network monitoring identifies not only when the network becomes overloaded, but also when there is excess capability that can be more optimally used. TRENDING: Performance is not monitored as snapshots in time, but also can provide historical trending that can provide valuable information based on usage patterns. Additionally, many network monitoring tools have the ability for other key management features including self-discovery and healing. These features include: IT asset management, remote control, problem resolution, operating system set-up and configuration, software distribution, license monitoring, back-up and recovery, security, and lights-out management. While network monitoring and management are more operationally focused, they are critical from an enterprise architecture perspective to ensure the delivery of core IT functionality for the enterprise: namely, a robust, sound, secure, cost-effective, state-of-the-art IT infrastructure upon which information can be delivered to the right people, anytime, anywhere. Network management tools can also be helpful in building the enterprise architecture because of their asset discovery feature. With the ability to spider out over the network and touch anything with an IP address, these tools can help identify key enterprise architecture assets in order to establish the baseline and plan for future targets. Our economy is heavily based on ensuring a competitive environment to drive innovation, cost-competition, and consumer value. One of the reasons why mergers and acquisitions are reviewed so carefully is to ensure that they are not anti-competitive, which would result in antitrust action. “a. Identify all activities performed by government personnel as either commercial or inherently governmental. b. Perform inherently governmental activities with government personnel. The concept of A-76 is that without federal workers having to compete for their positions against for example, the private sector, then there is no way to ensure value for the American taxpayer. Where is the incentive for the federal workforce to perform if when they aren’t performing competitively, and they are not threatened with replacement by a better, more effective and efficient provider? While I agree that competitions drive efficiency in the marketplace, I think A-76 has missed the mark in terms of reforming federal human capital. Competing federal workforce against private sector contractors on a cost basis does not necessarily ensure best value. From an enterprise architecture perspective, we are missing something crucial in A-76 and that is the human capital perspective. The human capital perspective on EA is one that was initially proposed by John Zachman, the founder of EA, and I am a strong proponent of it. Essentially, it says that just like the other business and technology perspectives of the EA, human capital is a filter through which you must make organizational decisions. What can we do to first improve performance results from the federal workforce (and I’m not saying that there is any problem to begin with)? The same as with any organization—provide strong leadership to them. Provide them with a bold vision. Hire the best and the brightest. Accelerate the hiring and clearance processes. Make clear their roles. Inspire them as President Kennedy did when he stated “Ask not what your country can do for you, ask what you can do for your country.” Challenge the workforce and empower them. Provide training, career growth, and financial and other incentives. With these, the federal workforce can truly be competitive and best value—if not all the time, then certainly much of the time. The enterprise architecture way to do this is to first, baseline your current workforce. Then, look at best practices, benchmark, and set the targets for your people. And finally, develop a transition plan to move your workforce from the baseline to the target. There is much more work to be done in this area, and obviously this is just a cursory overview or sketch of what the human capital perspective of EA would do. On a personal note, this is an area of great interest to me and I look forward to exploring it further. User-centric Enterprise architecture captures organizational information, analyzes it, and classifies it, and serves it up to the end user in useful and usable ways to enhance decision-making. I came across a helpful article in DM Review, May 2008, called “Ontology and Taxonomy” that clarified the classification schemas used in EA. First of all what the heck is a classification schema? Simply put, a classification schema is a way of organizing information by putting things into categories. This helps us make sense of the information by being able to relate items to one another. For example, is an item, part of a larger supertype? Does an item has subtypes? Are items part of a common set? Is there a one to one relationship, a one to many, or a many to many? An understanding of these relationships between information helps us to understand the information and better use it for sound decision making. Taxonomy—“A taxonomy is an ontology in the form of a hierarchy.” Typically, taxonomy takes the form of a tree diagram, with parent (class) and child relationships. Taxonomies are decompositions. “For example, a parent may be automobiles and the children may be trucks, SUVS, sedans, compacts, and so on. Then the children for trucks may be pick-ups, vans, refrigerated, etc. The limitation of taxonomies is why we need to use more sophisticated ontologies such as business, data, and system models in enterprise architecture to understand the complexity of the relationship between business processes, information required to perform those, and the systems that serve those up. We all know that information is vital to making sound and timely decisions. How do we govern information (the term information to include data and information) so that it is truly valuable to the organization and not just another case of GIGI (Garbage In, Garbage Out)? Information is a strategic enterprise asset. The key to getting better results from information is the effective use of information governance. Information governance includes decision making and management over the full information life cycle, including: information capture, processing, storage, retrieval, and reporting and disposition. Without information governance, what can happen to corporate information assets and the end users that rely on it? Information Hoarding (or Silos)—the information exists in the organization, but people hoard it rather than share information. They treat information as power and currency and they do not readily provide information to others in their organization even if it helps the organization they work for. Information Quality NOT (“multiple versions of the truth”)—information quality will suffer if decisions are not made and enforced to ensure authoritative information sources, quality control processing, and adequate security to protect it. Information Gaps—without proper requirements gathering and planning and provision for systems to meet information needs, users may be left holding the bag, and it’s empty; they won’t have the information they need to support their functional processes and day-to-day decision making needs. Not having effective information governance is costly for the organization. The target enterprise architecture state for information management is to have the right information to the right people at the right time. Anything less will mean sub-optimized processes, excessive management activity, and poor decision making and that will be costly for the organization—lost sales, dissatisfied customers, compliance lapses, safety and legal issues, publicity snafus, and other mistakes that can even put the enterprise out of business! “Managers spend more than one quarter of their work week searching for information. More than half of what they obtain is of no value. Managers accidently use the wrong data more than once a week. The good news is that “the majority of CIOs seem ready to act” by employing information governance. Information, as one of the perspectives of the enterprise architecture, is already governed through the Enterprise Architecture Board (EAB). However, to give more focus to information governance, perhaps we need to establish a separate Information Governance Board (IGB). I see the IGB as a sub-committee of the EAB that provides findings and recommendation to the EAB; the EAB would be the decision authority for governing all the perspectives of the architecture, including: performance, business, information, services, technology, security, and human capital. To better focus and decompose on the various EA perspective areas, perhaps they will all have their own sub-committees (like a Performance Governance Board, Business Governance Board, and so forth) similar to the IGB in the future. 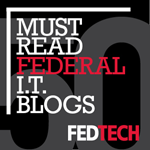 As those of you who are regular readers of this blog know, I am a proponent for a human capital perspective for the Federal Enterprise Architecture. The human capital perspective would provide the people focus, while the business perspective provides the process focus, and the services, technology, and security provide the technology focus. This would round out the established view of people—process—technology that fields like organizational development and enterprise architecture look to address. From a human capital perspective, one critical item that organizations would of course look to baseline, target, and transition plan for is money—essentially, how we financially compensate our employees and motivate them with dollars and cents. However, employees are not only motivated by money. People want to get up in the morning and not dread going to the office. So the human capital perspective can also look at other factors that make people happy, such as employee recognition, professional growth, challenging work, ongoing training, and so on. Making for a happy workforce, improves productivity, attendance, retention, and more. The WSJ calls watching something like television “neutral downtime” It’s “low-stress and moderately enjoyable. But people aren’t mentally engaged.” So the benefits are not great. In this case, I would argue that a productive day in the office is more enjoyable than sitting home and vegging in front of the tube (although that occasionally can be therapeutic as well). The key here is people need to feel engaged, productive, challenged, that they’re going somewhere and that it all has some meaning. Yes, we all need money to pay our bills, but there are other factors in work and at leisure that make for happiness. This is one area where the human capital perspective can play a role. Anyone who has seen the amount of homework and stress our children are under these days would have to admit that our children are losing their childhood earlier and earlier. The pressure is on for children to get the best early education so they can get the best SAT grades so they can get into the best colleges and universities so they can get the best and highest paying job so they can live a wonderful carefree life. WHAT THE HECK! Someone please architect a better way to educate our children so that they flourish educationally, but still enjoy those treasured years. “Germany has about 700 Waldkindergarten or “forest kindergartens,” in which children spend their days outdoor year-round. Blackboards surrender to the Black Forest.” The children, ages 3 to 6, spend the day in the forest singing songs, playing in the mud, climbing trees, examining worms, lizards and frogs, and building campfires. This is a natural way for children to spend their time and it aligns well with “environmentally-conscious and consumption-wary” attitudes. Similar programs have opened in Scandinavia, Switzerland, Austria, and in the U.S. (in Portland, Oregon last fall). I believe that if we teach children a love of learning and life, then they will thrive more than force-feeding them reading, writing, and arithmetic at age 3, 4, or 5. We can architect a better education for our children. It starts with letting them be children. From an EA perspective, we need to acknowledge that there is a baseline, target and transition plan for our children's education, and we do NOT need to get to the target state of advanced learning by putting undue pressure on children so early in their lives. In fact, if we understand that transition plans are just that—a transition from one state to another, in a phased approach of evolution—then we can indeed let children explore the world more freely and creatively at a young age, and evolve that incrementally with the skills they need as time goes on. IT portfolio management is a way of categorizing IT investments and analyzing them to ensure sound IT investment decisions. IT portfolios are frequently evaluated in terms of their return, risk, alignment to strategy, technical merit, and diversification. Why do we need IT portfolio management—why not just assess each project/investment on its own merit? The added value of developing and evaluating IT portfolios is that you can ensure the diversification of your investments across applications and infrastructure; new systems/major enhancement to existing systems and operations and maintenance; new R&D, proof of concepts, prototypes, and pilots; between strategic, tactical, and operational needs, and across business functions. Es—“enablers” or projects to support business applications such as business intelligence, analytical systems, master data management, systems integration. Ps—“process improvement within the IT organization itself” such as standardizing the approach to applications development (systems development life cycle), project management, performance management, IT governance, and so on. From an enterprise architecture perspective, we develop the target architecture and transition plan and assess IT investments against that. Again, rather than develop targets and plans and conduct assessments based solely on individual investment alone, EA should look at the aggregate investments by IT portfolios to ensure that the EA plan and subsequent investments are properly diversified. An EA plan that is overweighted or underweighted in particular IT investment categories can have a negative to disastrous effect on the organization. IT investments represent significant expenditures to organizations and IT is a strategic enabler to mission, so messing up the IT plan with poor investment targets and decisions is costly to the enterprise. Enterprise architecture is about managing change in the organization; however, there comes a time in our lives when there is an unprecedented opportunity for personal growth and change and that is when we reach midlife. The reason that midlife is the prime time for self-realization is that we have enough life experience to know ourselves well, a little money to facilitate change, and enough time left to make a difference. Midlife crisis occurs approximately from age 43-62. It is a time when we are faced with dual “myths”. One is the fear that midlife is the “onset of decline” and the other is the fantasy that with “enough vision and willpower,” we can be “anything or anybody”. If we can overcome both fear and fantasy and anchor our choices in intelligent transitions, then we can make some phenomenal life changes and achieve amazing personal growth and satisfaction. “Life expectancy today in the West is around 80 and continues to rise”, so there is no reason that health in midlife should be a show-stopper for most people’s aspirations. Further, with approximately 20 years or more of professional experience by this time in our lives, our plans for next-stage life growth, and what Carl Yung called individuation, should be more easily tempered by our understanding of what is and is not possible. “Magical transformations do not happen,” but meaningful growth and challenge can. Isn’t it risky to make changes in midcareer/midlife? Yes and no. Risk has to be managed. Staying the course has its advantages, but it also has its limitations, and when a person is bored, unchallenged, or just in a plain old midlife rut, worse mistakes can happen if negative feelings are just left to fester. That’s why it’s important to take control of one’s life, “by thinking not in terms of safety nets, but of active risk management,” that weight risk and rewards. Should we reach for the stars? Interestingly enough, we see the stars at night, which is also the time for dreaming. “The British psychoanalyst Donald W. Winnicott characterized dreaming as the use of the imagination to create possible scenarios in which our potential can come to fruition. But to be productive, dreams must be connected to our potential.” That’s the difference between a dream and a fantasy. In terms of reaching for our dreams, we need to dream to envision what could be. With the vision in hand, I would say go for it if the vision leads to what I would call intelligent life transitions—where change is thoughtful, achievable, growth-oriented, and personally satisfying. As adults, we need to separate the TV and Hollywood fantasies from realities and our true capabilities. If we focus on self-actualization (the highest human need according to Abraham Maslow)—the realization of our individual potentials, the discovery of who we are and can be—then we have an opportunity to live again and an even fuller life then the first half. Just as enterprise architecture plans, manages, and measures change and transformation for the organization, so too every individual must become their own enterprise architect and plan and direct change in their lives. Most positive change doesn’t occur by chance, although Divine providence is the guiding hand in all. If we take the principles of enterprise architecture and apply them to our own lives, then we will seek to understand and come to terms with our current state, envision our target that will help us self-actualize, and plan a realistic life transition. More and more people are turning to gaming for entertainment, social interaction, some thrills and fun and even some challenge. Many in society think that gamers, because they like to “play”, are childish, slovenly or irresponsible. However, there are many characteristics that gamers demonstrate that demonstrate that they are perhaps some of the best employment “catches” around. What are the gamer characteristics that can enable them to succeed in the modern workplace? How do gamers, or for that matter people in general, relate to enterprise architecture? Gamers are a growing segment of the population and their characteristics and skill sets need to be integrated in support of our business processes and technologies. The way to do this is through an enterprise architecture that speaks to a human capital perspective. Many times, I have written about the need for a human capital perspective (reference model) to be added to the Federal Enterprise Architecture (FEA). This would address the “people/who” perspective of the Zachman Framework and address the critical issues of the most important asset of the organization, its people. Unfortunately, the FEA is still anchored in the industrial revolution, with factories served by “indentured” workers on the assembly line; people no more important than the mind-numbing, repetitive tasks that they performed 12 or more hours a day for little pay and certainly little respect. The Federal Enterprise Architecture needs to enter the information age, where knowledge workers are the catalyst of innovation, engineering, modernization and transformation. The addition and focus on a human capital perspective to the architecture would be a good start to recognizing the centrality of people and brain-power to the competitiveness and future of our industries and nation. One of the issues that the human capital perspective should address are the types of skills and attributes (such as those that gamers demonstrate) that are best aligned to support the requirements of the enterprise and its mission. IPv6 is an important architecture change. Why are we running out of IP addresses on version 4? How does IPv6 solve this problem? What other benefits does IPv6 offer? IPv6 is important, but what other network initiatives underway is it competing with? On the Federal side, what needs to be architected next for IPv6? Business process management is part of enterprise architecture. Enterprise architecture is often equated with IT architecture. This is incorrect; they are not the same. IT architecture is focused on IT solutions. Enterprise architecture is broader and encompasses engineering both business and IT sides of the organization. There are two primary ways that enterprise architecture modernizes and transforms the organization. From the technology side, you can introduce new technologies to enable mission. From the business side, you can reengineer or improve existing business processes. Where does BPM fit in with enterprise architecture? To answer this we can look at guidance from The Office of Management and Budget (OMB). Particularly Circular A-11 provides guidance on the submission of federal budgets; Part 7 (Planning, Budgeting, Acquisition, and Management of Capital Assets) spells out the requirement that an Exhibit 300 be completed for all major investments. What’s key here is the requirements that before planning to acquire capital assets, such as new IT, we first look to reengineer the underlying business processes. Only once we have addressed the BPM, do we look to enable these processes with IT. How do we reengineer our business processes? Three types of models: Business process (or activity) models are the first step, supported by data models and systems models. Decomposition and relationships: In these models, we decompose the business functions, processes, activities, and tasks; identify the relationships to the information required to perform the business processes, and the systems (manual or automated) that serve up the information. Areas for Improvement/Reengineering: Through this decomposition and identification of relationship between business/data/systems, we are able to identify gaps, redundancies, roadblocks, and opportunities in doing our business efficiently and effectively. Once identified, we can then tweak or wholly reengineer the business processes, fill in gaps, eliminate unnecessary redundancies, and so on. Similar to the OMB Exhibit 300 “Three Pesky Questions,” DM Review reminds us that we cannot just focus on systems to fix what’s wrong in our organizations. Business Process Management is essential to organizational change management. If a business is to be responsive to change and remain competitive, its ammunition will come from its ability to inspect, analyze and forward-engineer its processes and its business…before its competition! So whenever you think of enterprise architecture remember business + IT, and the business comes first!